Since my boys generally both nap in the early afternoon, I often struggle with how best to use my precious hour or 2 of free time. Do I shower? Write those thank-you notes that are embarrassingly overdue? Take a nap? Usually, my first choice is LUNCH. I am all about quick lunches that satisfy me, but don’t make me feel too full. Salads have become my lunchtime staple in the past few months. In an attempt to add more fruits and vegetables to my diet, I’ve been throwing all kinds into a big mixing bowl, tossing them with a homemade vinaigrette, and voila-lunch is served! 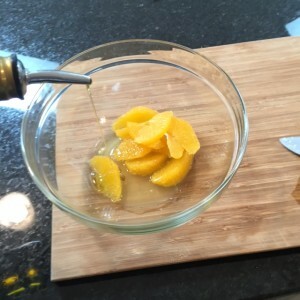 My favorite dressing right now is orange vinaigrette. 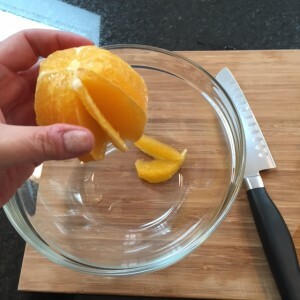 I end up using most of the orange in the salad, which is a great way to sneak in some extra vitamin C. First, I zest the orange and then cut off the entire peel. 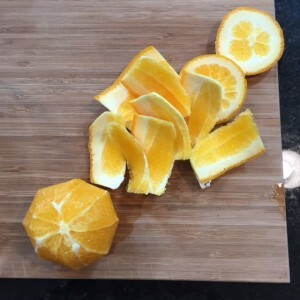 Then I segment the orange and add the pieces directly to my mixing bowl with the zest. Next, I add olive oil, salt and pepper, and whatever herb or spice I may have around to the bowl and mix well. Lastly, I add my salad ingredients and toss thoroughly. 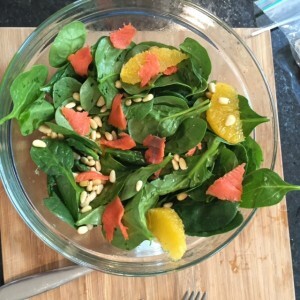 Today I used baby spinach, pine nuts, and smoked salmon. This is a great idea! I struggle with lunch when it’s just me. And when it’s not, if I’m being honest.